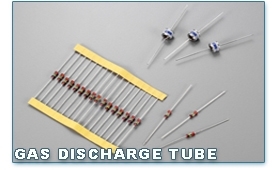 Generally, GDT (Gas Discharge Tube) components work whenever a surge (voltage) exceed the rated-working-voltage of GDT. As the arc with high current (because of low impedence of GDT) is ignited, GDT can prevent a further rise of surge. (approximately some 10 volts).